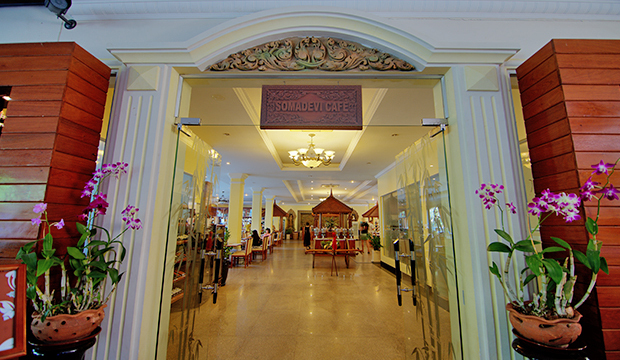 Gastronomically delights abound at SOMADEVI Cafe all day dining restaurant. 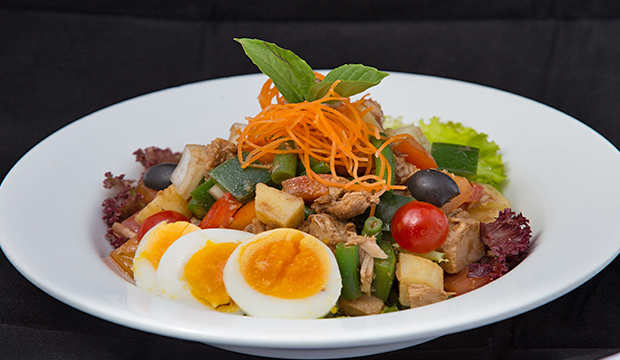 Enjoy a mixed taste of huge selection of our international buffet breakfast spread (Local, Asian and Western) plus a freshly brewed coffee and tea and five choices of serve chilled fruit juices, which are 100% real fruit taste from the fresh fruit box without the use of any fruit flavored powder and coloring. 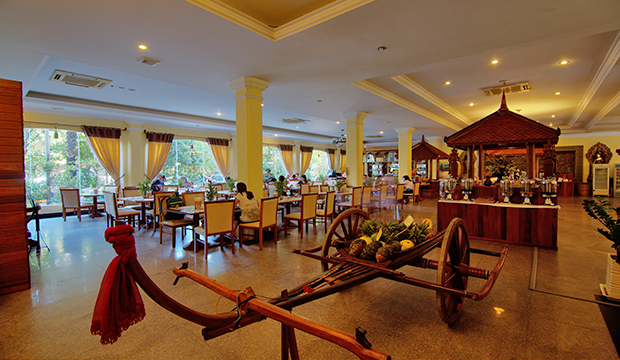 Beside breakfast, our Somadevi Cafe also caters to lunch and dinner with a la cart and set menu of our local-Khmer, Asian and Western cuisines, which are available in set and buffet set-up style.